The most effective leaders I’ve known or studied all share a common trait: they were unwilling to settle for the existing state of affairs. They believed with all their heart that what we focus on can become reality. In my quarter-century of military service, I’ve been afforded the rare privilege of leading in a broad array of environments: commanding a 500-person special operations expeditionary air refueling group in the Middle East after 9/11; guiding a 7,000-person military community through a dramatic mission transformation in North Dakota; and leading men and women from 14 NATO nations in building a sustainable, independent Afghan Air Force in an active war zone-something that had never previously been attempted. It is a well-accepted role of leaders to focus on the future and pursue the possibility it holds. In other words, leading entails being a visionary-confidently looking ahead and ascertaining how best to transform your current reality into your desired future. One of the most significant errors I see leaders make is developing their vision in isolation and then expecting people to accept it at face value. When leaders do this, they violate one of the most important truths of promoting change: our words create our worlds. How we choose to describe and discuss what we are doing and where we are going is important, but what moves people to sustainable, self-motivated action is understanding the why behind the vision. That vision can only be fully realized if leaders involve others in the process of creating it. For those of us who have served in uniform, getting dirty, sleeping in tents, leading marches in the mud, or spending hours rehearsing a mission comes with the territory. As a commander, you don’t get a pass because you have the highest rank. In fact, you should be ready to be the first to face hardship and the last to benefit from success. If your team is cold, wet, hungry, and sleepless, you should be, too. You should be prepared to eat last, own failure, and generously share triumphs. This others-centered approach to leading will build deep trust and enduring respect, and reinforce that you don’t expect anyone on your team to do anything you wouldn’t do yourself. Ego tempts many leaders toward self-aggrandizement-the higher their rank, the more pronounced the pull. Choose to direct your effort and attention toward what you can give rather than what you can receive. Demonstrate humility, not superiority. Model for others the selfless attitudes and behaviors you desire to see in them. Nobody can be an expert in everything, but the greater your scope of responsibility as a leader, the more you need to learn about what you are demanding of your people. Just like the best sports coaches, who invest countless hours in understanding every position on the field, effective leaders develop a keen sense of how the organization’s various roles, functions, systems, people, and processes contribute to achieving its desired goals. You may be a specialist at one thing, but knowing what others around you do-and how and why they do it-is vital not only to attaining your desired outcomes, but also to realizing your individual and collective potential. The world of physics has a principle: “Every contact leaves a trace.” What this means for leaders is that every interaction with someone-verbal, written, or even through non-verbal mannerisms-makes an impression. Effective leaders understand that every interaction is a potentially powerful means of nurturing a relationship, eliminating an obstruction to progress, or reinforcing trust. Determine to leave a trace that leaves those around you better for knowing you. Military work is risky, pressured, and ever-changing. Yet the principles military leaders use to lead effectively are the same skills companies need today to prevail in a climate of increasing uncertainty and accelerating complexity. It is up to each individual leader to choose to put these lessons to work. 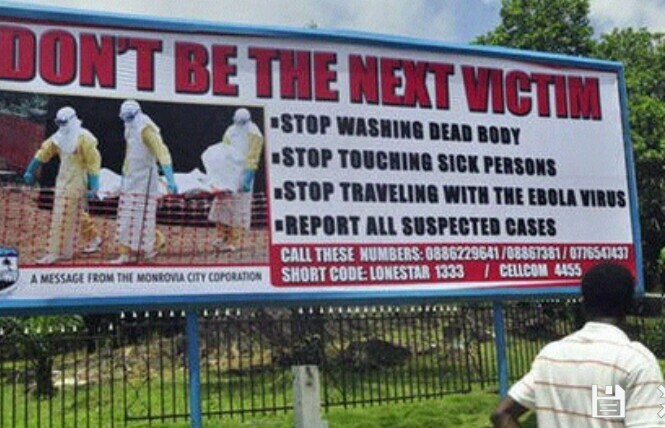 A man walks past a billboard warning people of the deadly Ebola virus in Monrovia, Liberia. AP The World Health Organization (WHO) says the number of people believed sickened by Ebola has risen above 10,000. The UN health agency said on Saturday that the number of confirmed, probable and suspected cases has risen to 10,141. Of those, 4,922 people have died. WHO has said repeatedly that even those very high figures are likely an underestimate as many people in the hardest hit countries have been unable or too frightened to seek medical care. The Ebola outbreak in West Africa is the largest ever outbreak of the disease. It has particularly affected Guinea, Liberia and Sierra Leone, but there have also been cases in three other West African countries, Spain and the United States. Mali recorded its first case of Ebola on Thursday. Pakistani schoolgirl Malala Yousafzai, the joint winner of the Nobel Peace Prize, speaks at Birmingham library in Birmingham, central England October 10, 2014. 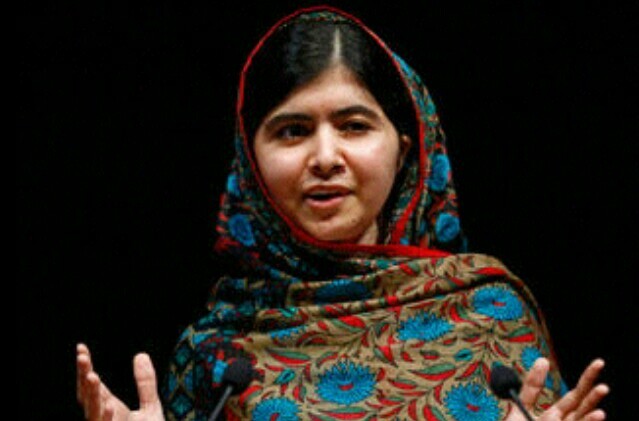 Pakistan’s Nobel peace laureate Malala Yousafzai has again urged the prime ministers of Pakistan and India to attend the Nobel Peace Prize ceremony to be held in December and to keep aside the bilateral differences for the progress of both nations. She also called on them to spend more on children’s education. In a recent interview with PTV in UK, the 17-year-old said that she would spend her share of $1.1 million prize money on educations projects in Pakistan. “We have to work together as 57 million children are still out of school in Pakistan. My dream is that every Pakistani child gets quality education,” web news portal Daily Times on Saturday quoted her as saying. “I was in my chemistry class and then the teacher came and told me that I have won the Nobel Peace Prize. All the teachers and students gathered in the assembly and I nervously made a little speech before them,” she recalled. Explaining the activities of the Malala Fund that she had set up, she said that the aim of the fund is to ensure education facilities to all children in Pakistan. The fund is also supporting 25 orphan kids in a project run by an organisation in Khyber Pakhtunkhwa Province, she added. She said that in her meetings with global leaders like President Barack Obama and Queen Elizabeth, she persuaded them to invest and focus on children’s education.